It’s frustrating walking into a thrift store and not finding anything good. I hate leaving empty-handed. Don’t you? Could be that the prices are jacked up higher than Macy’s…. Don’t get me started on that one. Some places have so little choice and variety that you wonder how they’re still in business. I’ve got awesome thrift stores here in Maryland (the best thrift stores are Value Village and Unique Thrift). It’s probably because this is the Washington DC metro area and there’s a bunch of rich folks in Montgomery County, plus a lot of turn-over from government folks coming and going. But if you live in an area that has nothing good at the thrift stores, here are a few suggestions on scoring good deals despite bad thrift stores! TIP 1 – Considering having a Thrift Swap with your friends or neighborhood! Why not create your own thrift swap?? Get together a group of friends, or your church, or whoever it is you hang out with the most (your kid’s basketball team??) and have a community thrift swap! Sign up for the free app called Next Door that connects you with your neighbors and see if they’re interested in a neighborhood swap. More likely than not, they have stuff in their garage, their bedrooms, etc., that they aren’t using. Be willing to swap it out for something that you’ve decided you don’t want anymore. Even better, create a Facebook page for your thrift swap and take pics of all the stuff you’re looking to get rid of. Have everyone else post pics. And then just swap. Maybe sell it if you want, but swapping might be even better. Free is good :). TIP 2 – Speaking of Facebook…..Join a Yardsale Group! Did you know that people are finding all kinds of amazing stuff in Facebook Yardsale groups? I admit I haven’t really used Facebook groups because I always find such great stuff at the thrift store. But if you’re having a hard time finding stuff, check out these yardsale groups. 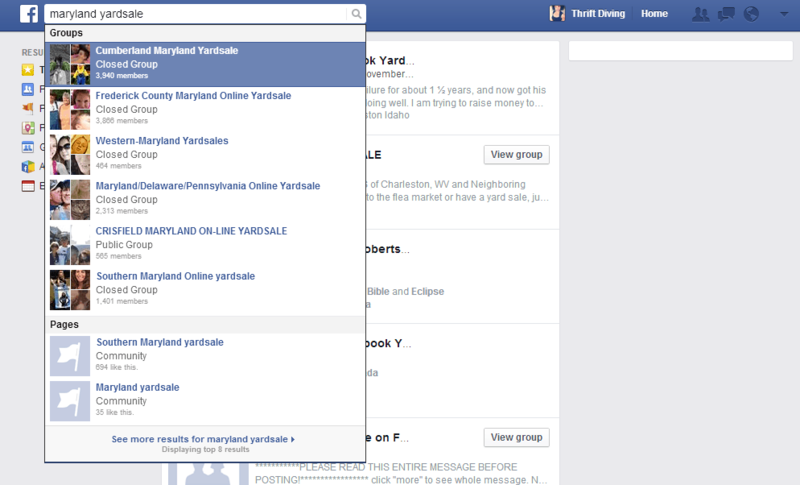 I just typed in “Maryland yardsale” and it told me some in different counties and regions. My advice would be to check these groups often because you never know what you are going to find. On my Thrift Diving Facebook page, a woman told me she’d scored a gorgeous Oak Roll top desk that if sold brand new would be over $2000 and she got it for $50 on one of the Facebook Yardsale groups. It had been a couple days and no one had responded to the post, so when she did, she got an awesome deal on it! TIP 3 – Be Willing to Take a Road Trip! It’s true that thrift stores may stink in your area (excuse the pun)….So you might have to travel outside of your area to find a good deal. 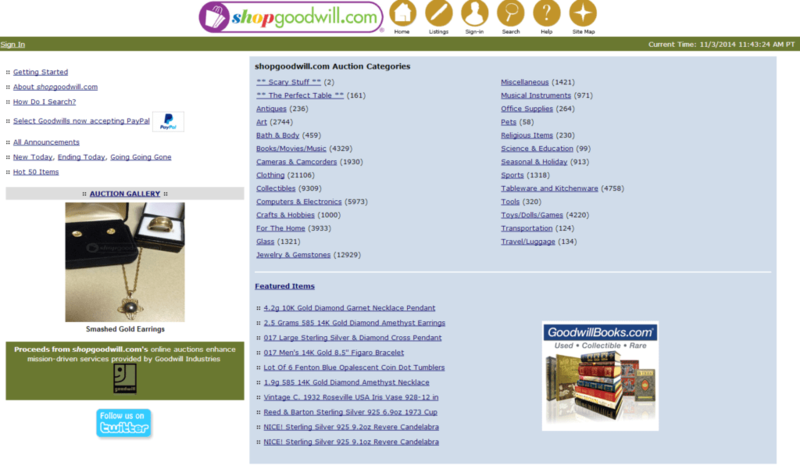 Try finding a list of thrift stores near you on the Thrift Store National Directory. Enter in zip codes up to 2 hours from you and take a Saturday to go check out some shops outside of your area. You might be surprised at what you find! 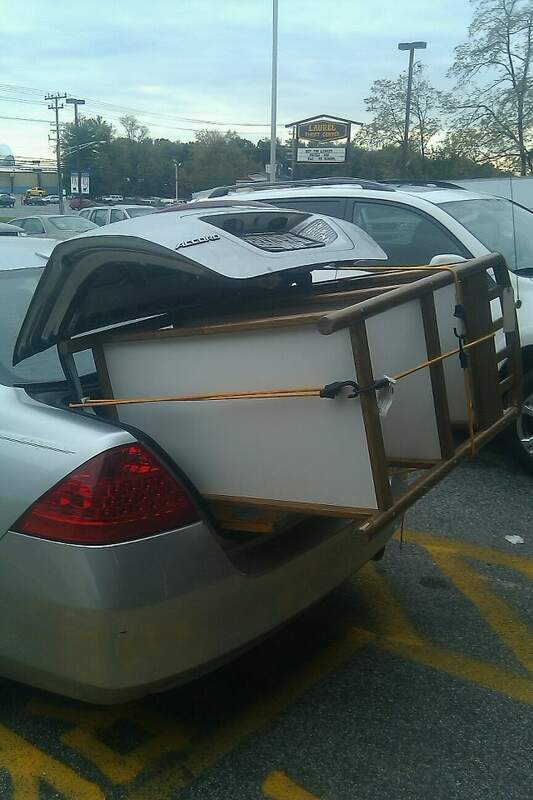 Be sure to have a van or at least a set of bungee cords in your trunk if you’re sportin’ a 4-door sedan like me. ;). Bungees, baby….it’s all in the bungees…. 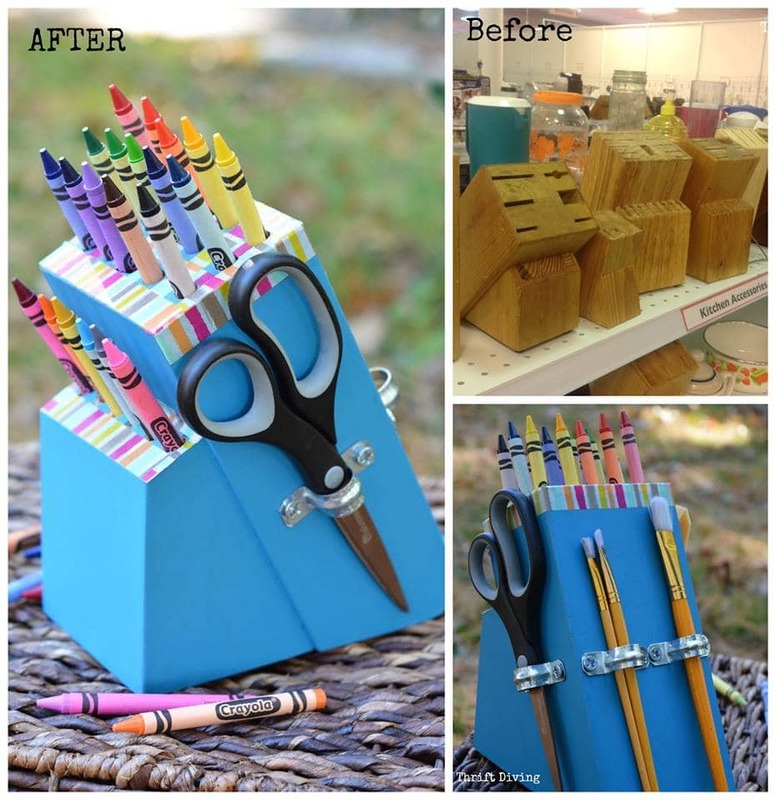 Recently I posted how about I turned this old knife block into a DIY crayon holder. I just happened to be walking by and I was inspired to do something with it, although I wasn’t sure what. 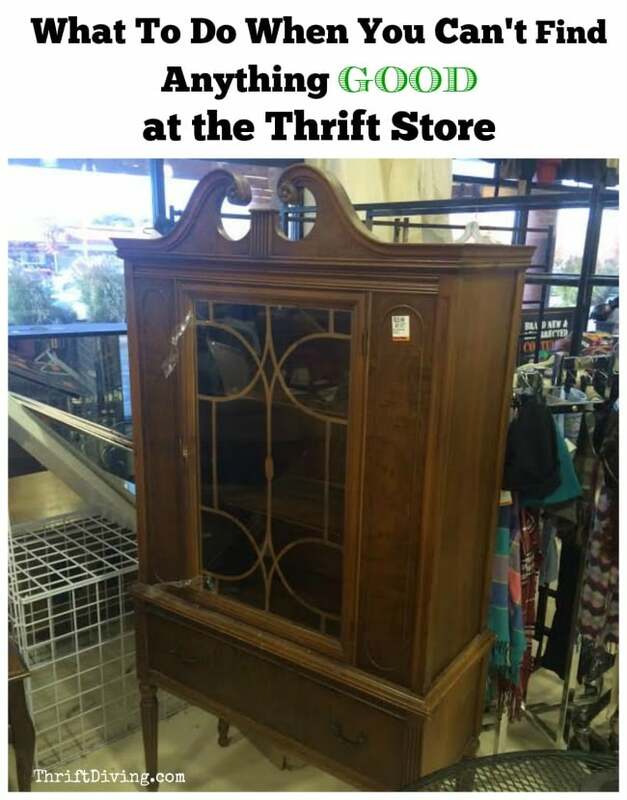 But you have to think that way about thrift stores, especially when you aren’t finding any “good” stuff. Because the “good stuff” can also be the stuff you don’t realize can be turned into other “good” things! Candlesticks – Glue them on to thrifted plates to make cake stands and serving plates. Cheap metal buckets – These make the best for gift baskets. Here’s one I upcycled into a gift basket for my mom! Small porcelain or plastic figurines – Just spray paint them, especially if they have awesome shapes but are faded and ugly otherwise. I loved how these bronze bird bookends turned out. Old cameras – Buy some old bright spray paint and spray paint old cameras, arranging them on your bookshelf or somewhere visually interesting. I mean, we’ve all heard of Craigslist (and even eBay), and we know how sketchy some of those buyers and sellers can be on Craigslist. It’s still a great site to score a good deal, but don’t limit yourself to just CL and eBay. Try these other four sites. 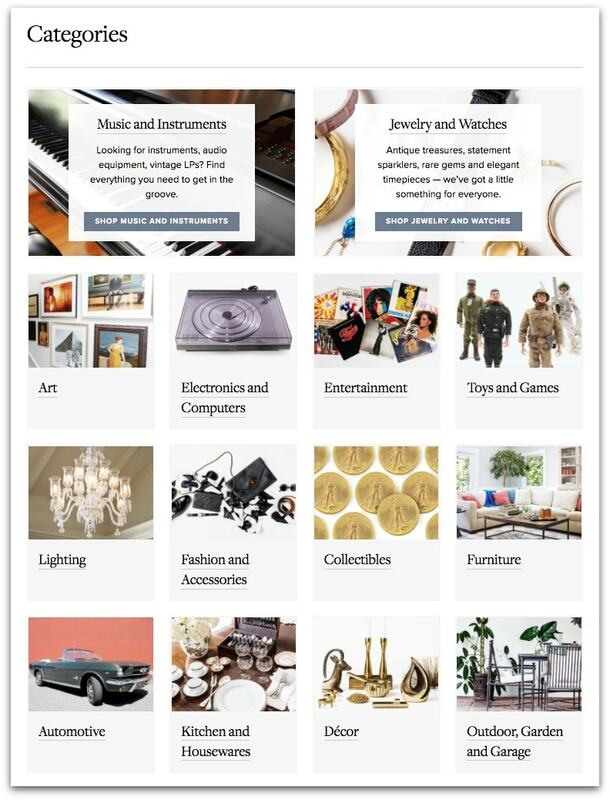 That stands for “Everything But the House.” They consider themselves to be a premier estate sale online marketplace. I heard about them at a blogging conference some number of years ago, and they seem to have great stuff! Here are just a sampling of their categories. You could get lost in the amount of stuff they have to sell! Have you heard of Furnishly? 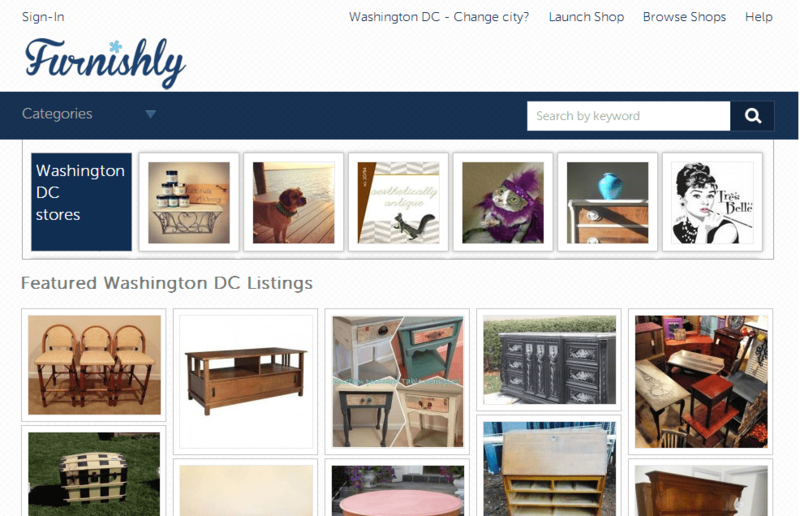 Furnishly seems to be more like Craigslist, with more affordable deals and “everyday” furniture, with some sweet pieces mixed in. Have any of you tried this site before? I found my Ethan Allen sofa in my second-hand blogging room from an estate sale! 🙂 I scored it for $100 from an estate sale. WOO HOO! 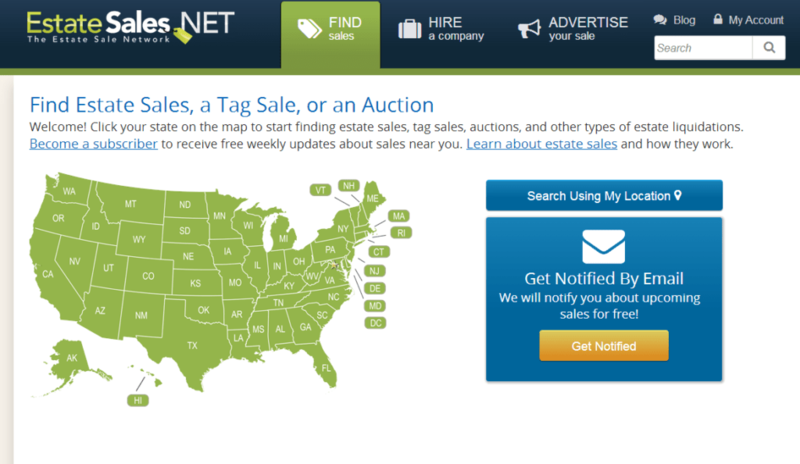 You can get email alerts for sales coming up in your area. Shop Goodwill is awesome because it’s a conglomerate of thrifted stuff from Goodwills nationally. You can search for the ones in your area and bid on the things you love. If you’re lucky enough to have great thrift stores in your area, you rock!!! But if you aren’t, that shouldn’t stop you from finding good deals! Think outside the box and how you can repurpose the stuff you are finding at the thrift store. And be sure to swap with friends, and stay connected online in case a good deal pops up! So do you live in a location that has good thrift stores? What kind of stuff do you find there? And have you ever found anything really juicy online? 🙂 Leave a comment and share what you’ve found!